State leaders have all thrown support behind tapping the rainy day fund to help with Hurricane Harvey recovery. But a year and a half after the storm, they haven't offered many specifics. More than a month into the legislative session, though, the "Big Three" have yet to offer specifics about what that might look like. All declined through spokespeople to share specific funding-related Harvey priorities. 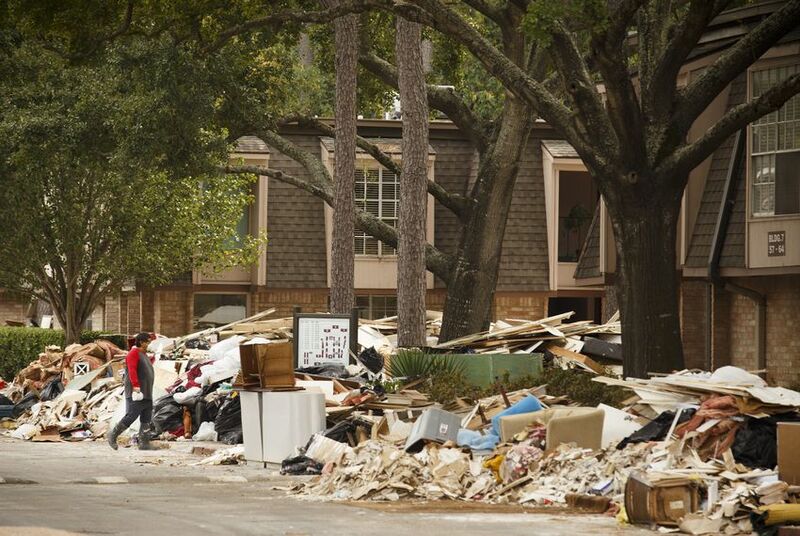 But recently filed legislation and public discussions among top lawmakers offer some insight into what the state may ultimately pony up to help communities recover from the costliest natural disaster in Texas history. A push by some lawmakers to funnel hundreds of millions — or even billions — of dollars of state money to local communities is sure to be met with resistance by others who point to the billions of federal recovery dollars still in the chute. It’s also sure to be complicated by a long list of other needs state leaders are hoping to address with the $11 billion-and-growing Economic Stabilization Fund. A year and a half after Harvey, the coastal Texas communities that bore the brunt of the storm are anxiously awaiting the receipt of billions of recovery dollars they’ve been promised by the federal government. Some of it has been delayed. But with shrunken tax bases and dented economies, many are also wondering how they’re going to scrape together the money they’ll need to draw down billions more in federal funding — ideally without having to rely on other federal funds they could use for other recovery projects. In a letter early last month, Turner and newly minted Harris County Judge Lina Hidalgo implored Abbott, Patrick and Bonnen to withdraw $1.3 billion from the emergency account to cover the local matching money that communities in all 55 Harvey-hit counties must send to the federal government before it will release another $11 billion. That money would go toward debris removal costs and the repair of storm-battered government facilities, and to harden public and private structures so they can better withstand future storms. The local match for the city of Houston alone is roughly half a billion dollars, according to officials. Turner’s push apparently has paid off: Late last week, state Sen. Brandon Creighton, a Republican from Conroe, filed a bill that would withdraw $3 billion from the rainy day fund to create an “infrastructure resiliency fund.” The account would be overseen by a board that would dole out grants to cover local match, among other things. Another bill by state Sen. Charles Perry, a Republican from Lubbock, is seen as a compromise and would create a $1.2 billion revolving fund with rainy day fund money from which local communities could borrow to cover local match. It would require voter approval. In mid-January, Nelson filed a must-pass bill designed to plug holes in the current state budget, which lawmakers approved in 2017. It allocates about $2.5 billion from the rainy day fund for Harvey — and multiple unrelated — expenses and includes several placeholders for other possible disbursements from the emergency account. But much of it would go to assist state entities rather than local ones. More than half of the $2.5 billion is earmarked for state agencies that diverted resources for Harvey response, along with other items deemed priorities by leadership: a school safety program, college tuition assistance, teacher and state employee retirement fund contributions, and state hospitals. The bill earmarks $905 million for Harvey-impacted schools to help with lost tax revenue that followed a drop in property values — and for per-student funding lost after many children moved away after the storm. An unknown portion of that money also would be used to reduce payments that districts considered property wealthy have to make to the state under its so-called Robin Hood school finance system to supplement poorer ones. Rios, the Rockport mayor, said his local school district is considered property wealthy and now finds itself “in a dangerous bind” as it expects to have to send $7 million to the state.